Paul Rabil is almost unquestionably the best lacrosse player in the world, a major catalyst for the growth of the game, and the founder of Paul Rabil Foundation. Born in 1985, Paul Rabil played lacrosse for DeMatha Catholic High School in Maryland before committing to Johns Hopkins University for lacrosse. At Johns Hopkins from 2005 to 2008, Rabil had an illustrious career. He was a three time first team All American and a two time National Champion all while recording the most points as a midfielder in Hopkins lacrosse history. Rabil also had success in the classroom. Posting a 3.5 GPA at Hopkins, he majored in political science and minored in entrepreneurship and management. After college, the Boston Cannons drafted Rabil where he played for seven years before being traded to the New York Lizards. He continues to grow the game through his own brand, outreach to fans, and his camps held across the country. Below is an interview I was fortunate to have with Mr. Rabil during my time as an intern with RiSE. The questions are regarding the non profit organization The Paul Rabil Foundation which he founded with a mission that is committed to helping children with learning differences through sport and scholarships. 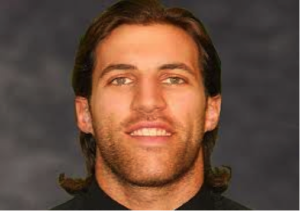 Q: Mr. Rabil, how did you get involved in the charity or organization that you are currently involved with? A: I founded the Paul Rabil Foundation in 2010 to actively pursue building lacrosse programs and scholarships at schools that specialize in educating children with learning differences. Lacrosse has played a major role in my life, and without it, I would’ve likely struggled much more in the classroom. My goal was to give children that readily opportunity to access extracurricular activities in order to develop their abilities. Q: How did your experience in school help you later in life, did it make you more understanding and empathetic? A: My experience in the classroom translated directly to how I performed on the field — that’s my biggest takeaway. As I matured, I understood that working extra hard in study hall, focusing on homework, and studying for tests, went hand-in-hand with extra practice, picking up ground balls, being a leader, and more on-field skills. Q: Did an experience in school help you decide your career choice? A: Not particularly. I really loved playing lacrosse, and was fortunate to understand that if I put the required work in every single day, that I would give myself the best opportunity to go long with lacrosse in my career. Q: Was there a person that helped you rise above your thoughts of what you could do in life? Help you see potential or change your perspective? A: My parents were incredibly instrumental in helping me get to where I am today. Starting with supporting private education in high school, to guiding me through the college recruiting process, and finally urging me to play professional lacrosse full-time. In order to be successful at anything you do, you need to have mentors — and I’m really fortunate that those happen to be my parents. Q: Do you feel that the public’s perspective is changing on learning differently? A: Absolutely. I hear stories of times before I was born where children with learning differences had to sit in the back of the class — almost segregating them from “smarter kids”. That’s all changed. Schools are emphasizing the right environment for all students, and it’s paying off. Our biggest challenge is going to be bullying from peer-to-peer. Children with learning differences are often pointed out by their peers and called derogatory names. We all need to contribute to putting a stop to this.